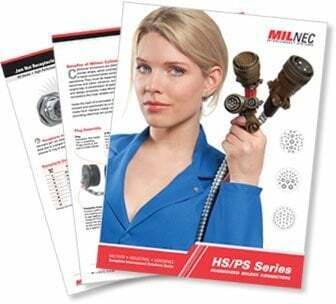 Get Your Free Milnec Connector Catalog Today! Informative – Valuable information on the features and benefits of each connector series. Datasheets – All critical technical and electrical values are published in chart format. Options – Wide selection of connector and finish options for industrial to advanced space applications. Full Color – All critical components and accessories in each series are offered in multi-angle, color photographs to provide the most comprehensive connector catalogs in the industry. Yes, I would like to receive occasional information about new catalogs, online tools, and products by e-mail.